Hello Marty McFly, are you ready for a ride? This is the question you could pop to Back To The Future hero for real because we finally have a hoverboard which really hovers. 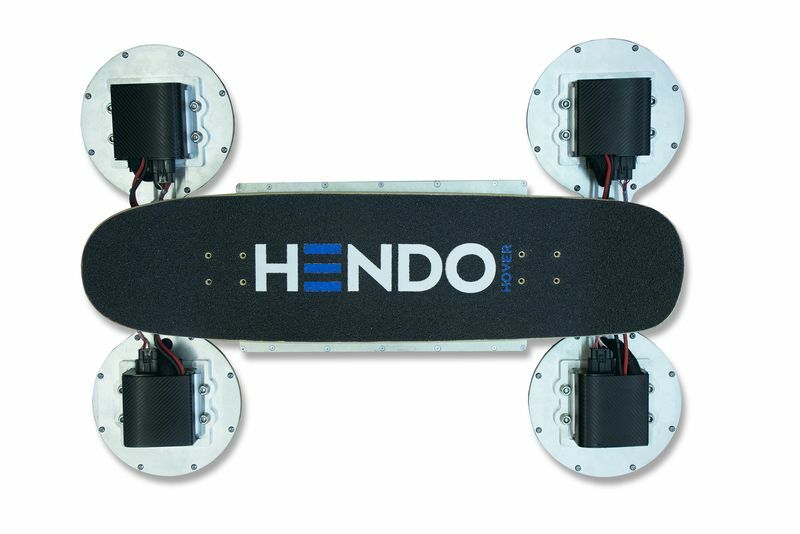 Hendo Hoverboard is a real hoverboard without wheels used by popular two-wheel self-balancing scooters (or populary called hoverboards despite the fact that they aren’t) and it hovers above the surface without friction. How it works and where is the catch? 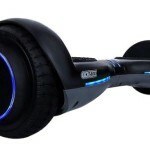 Hendo Hoverboard is designed and developed by Arx Pax and its co-founder and CEO Greg Henderson. Hendo uses Magnetic Field Architecture or MFA in order to maintain hoverboard above surface and enable it smooth ride. 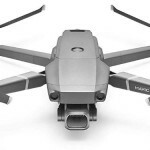 However, it can glide only above special copper surfaces. Copper surface is conductive and in collaboration with hover’s engine which creates magnetic field creates small closed loops of electricity called “eddy currents.” Eddy currents are creating secondary magnetic filed which is the image of the first magnetic field and those two magnetic fields are repelling each other enabling the Hendo Hoverboard to glide over the conductive surface. The whole project started back in 2013 and it’s still in developing status with Hendo Hoverboard 2.0 as the latest edition of this project. 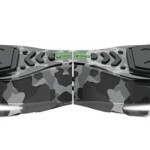 Design of the Hendo 2.0 is helped by Tony Hawk. The 2.0 version now uses a real board as a deck, better battery life and has improved maneuver possibilities thus enabling the rider easier maneuvering and longer stay on the board. There are similar projects on the run like Lexus Hoverboard and ArcaBoard. But, while Lexus uses straight linear and predefined tracks for gliding, Hendo uses wide copper surfaces giving the rider oportunity to choose which way to glide and freedom to make more complex figures and acrobatics. Also, ArcaBoard has box shape with lots of ventilators implemented inside the box so they could lift the rider and the box of the ground. Because of that ArcaBoard requests very powerful engines and lots of batteries. Hendo doesn’t need that because it uses magnetic fields and classical board look is achievable. Enjoy the video below showing Hendo Hoverboard.